Bhubaneswar: Use of mother tongue is in a way, the best tribute to one’s culture and tradition and the most beautiful way to have self respect by relating to one’s own linguistic origin. Odisha, being the first state to be formed on the basis of linguistic consideration and sixth Classical Language of the country, the time has come to write our signage prominently in Odia, besides other languages across the city. 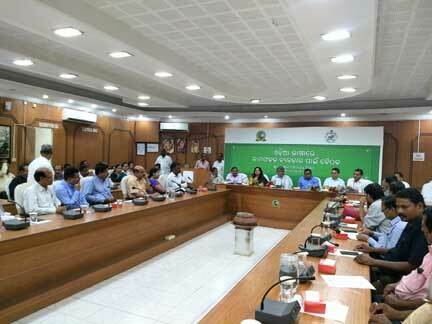 In order to expedite the use of Odia language by institutions, commercial establishments and shops in the city, a meeting under the chairmanship of Development Commissioner R. Balakrishnan was held at BMC Corporation Hall this afternoon. Most of the participants on their own declared that their signages would be changed accordingly by October 15. Speaking about the pride of using mother tongue by local people, the Development Commissioner also stressed use of Odia language in all its aspects and ventures through the entire Smart City Project. “We have achieved the Smart City tag through a competition, now by using our own language we can be the “smartest city,’’ he observed. He cited examples of advanced nations like Japan, Korea and China, which have given more importance to their local languages than the foreign languages and have done wonders in technology and innovation. Among others, Secretary Higher Education Bishnupada Sethi, Secretary Sports and Tourism Vishal Dev, BMC Commissioner Dr. Krishan Kumar, Additional Commissioner Subham Saxena and Director Municipal Administration Sangramjit Nayak and many senior government officials from various departments, academicians and industry leaders were present. 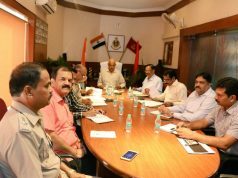 BMC will coordinate the activity among commercial establishments and shops to use Odia language on their signboards within the Corporation limits as per the provisions under the Odisha Shops and Commercial Establishments (Amendment) Act, 2018, passed by the Odisha Legislative Assembly on May 25, 2018. The countdown has started from today and most of the participants expressed their willingness to display the signage in Odia near their establishments. Representatives of all types of commercial establishments and educational institutions were present at the meeting. Representatives from KIIT University, Centurion University, SOA University, Hotel and Restaurant Association of Odisha and different traders’ and markets’ bodies of the city were present at the meeting. 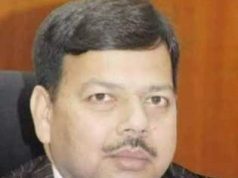 Director Odia Bhasa Pratisthan Tamasarani Dasmohapatra came forward with a proposal of creation of a dictionary of administrative words in Odia and the citizens could take the help of the institute to have correct Odia words on their signage. After October 15 there would be another meeting at BMC so that progress on the use of Odia language in signage across the city could be assessed.